Back in 2007, Disney releases Series Five of their Collector Pack Mini-figures. If you were like me, you didn't even know there was a series one through four. 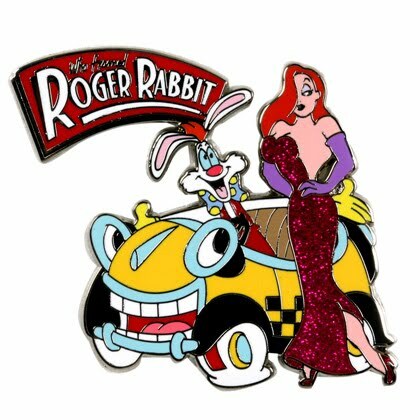 Series Five finally contained some Roger Rabbit figures - one being Jessica of course! 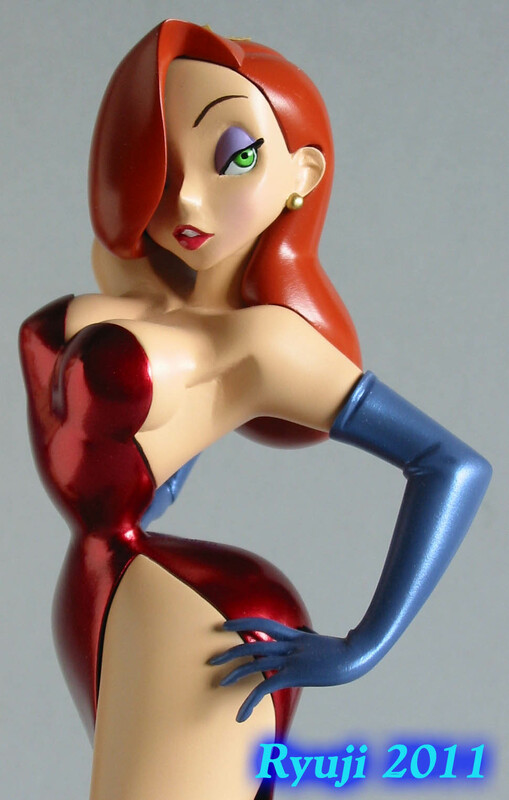 With all the excitement of the upcoming Jessica Rabbit Premium Format statue by Sideshow Toys, we are treated to a step-by-step look at a custom made Jessica statue by one of the talented artists of Deviantart. Member Celso Ryuji is busily at work creating a very character accurate Jessica statue and I have permission from the artist to show the progress on this site. You can take a look at his awesome work on his Deviantart page, featuring characters like She-Ra, Hello Nurse from Anamaniacs and Irma from Ninja Turtles. Big news on a counterfeit Disney Pin bust that went down. 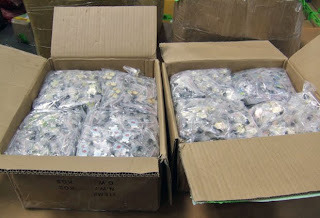 The LA Times reports on the arrests made and seized over 100,000 fake Disney pins. ABC7 also reported details of this story. There is no information yet on the eBay sellers screen name. 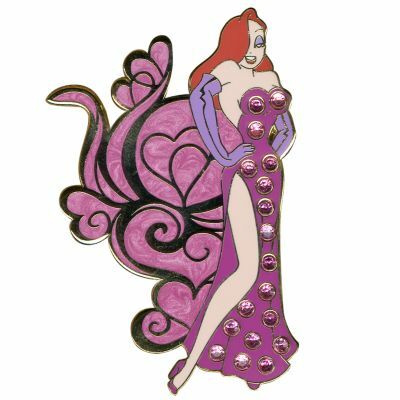 There is a NEW Imagineer pin set out featuring Jessica Rabbit. 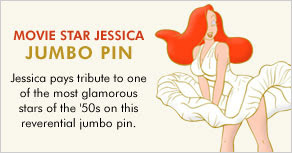 This is the first time Jessica has had her own WDI set but there have been single pins of her released before. WDI pins are normally only released to Disney Cast Members but do show up on eBay often. In this set, which could rival her Halloween Costume Series - Jessica is dressed as a Gibson Girl from the Disneyland Ice Cream Parlor, The Evil Queen from Snow White's Scary Adventures, Constance from The Haunted Mansion, and The Red Head "Scarlett" from Pirates of the Caribbean. Each pin is an LE 300. That didn't take very long. 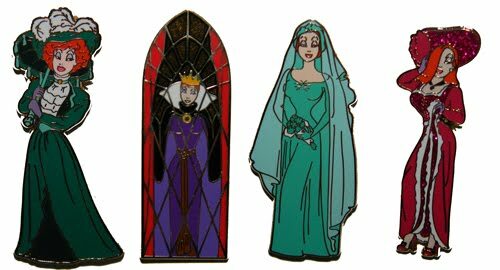 At Current time all Jessica pins are now sold out (excluding one pin which you need to be a member of the D23 Club to purchase), though there are other character pins available. There is a Surprise Pin Sale going on right now at DisneyShopping.com. Normally the Pin Sale is in February and August but it appears pins are still listed that were from Christmas. 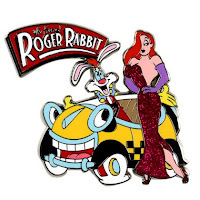 Pin production seems to be slowing down and we have not seen a new Jessica Rabbit pin in many months released on the site - while the Disney Soda Fountain and Studio Store has has a few new selections over the months.